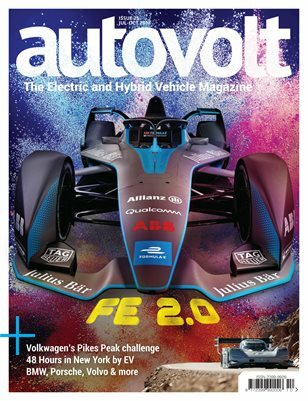 Main features are: FEATURE: Where Formula E has come from and where it’s going. FEATURE: Volkswagen’s incredible race to the top of Pikes Peak. FEATURE: 48 Hours in New York with an i-Pace. FEATURE: How will the other half charge? - Electric vehicle charging, its problems and possible solutions. REVIEW: BMW i3S, BMW 530e, Porsche Panamera 4 E-Hybrid Sport Turismo, Volvo XC60 T8 Twin Engine HISTORY - La Jamais Contente. GLOVEBOX - Gifts, gadgets and more to complement your EV lifestyle. COLUMN: An Arctic Adventure by Beth Lily Georgiou.